Raam Reddy gets candid about Thithi and his journey so far in the industry! 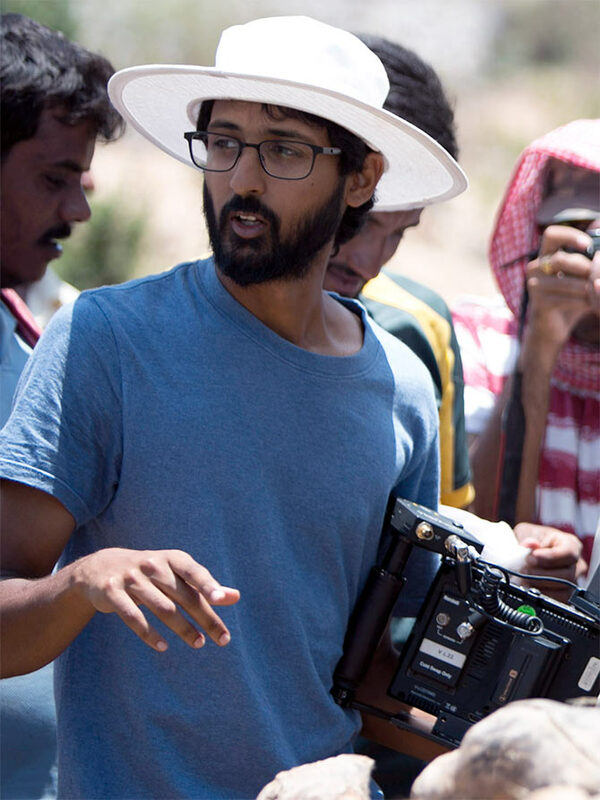 Raam Reddy’s directorial debut Thithi has fetched him rare renown. Critics have hailed this Kannada film as a unique experience which one gets to witness very rarely in Indian cinema. While Thithi will continue to be the topic of discussion for a long time, Reddy has already decided what genre he wants to explore next. The 25-year-old filmmaker also confesses he would love to work with Irrfan Khan and Nawazuddin Siddiqui. In this candid conversation with Subhash K Jha, Raam Reddy talks about his film's success and reveals a bit about his next venture. A remarkable achievement like Thithi happens once in a while. Did you expect the film to make such an impact? Never once during the making of the film did we expect it to receive such widespread acclaim as well as audience acceptance and appreciation. Making the film itself was such a tremendous challenge that all our focus was on completing it to our satisfaction. We always intended to make a 'warm' film that was realistic and observational, but at the same time cinematic, with a humour that was particular to the world we were trying to create. I believe it is this playfulness that is at the core of Thithi’s national and international success. Tell me about its genesis. 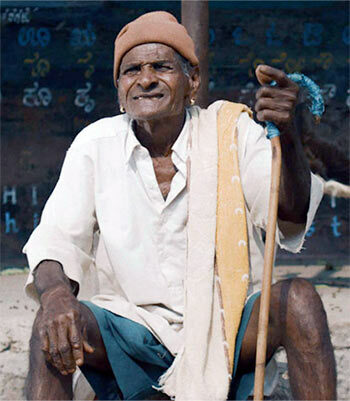 It began in an unorthodox way, with the decision to make a film in a particular place, the village of Nodekoppalu. Nodekoppalu is the home town of the primary writer and the casting director of the film, the very talented Eregowda. Eregowda and I have been friends for 15 years. It was our relationship that was the core collaboration of the film; an insider-and-outsider combination that eventually led to a nuanced authenticity with stylistic particularity. We also took the unorthodox decision to cast the three main actors before we came up with the story and then, once we spent time with them and got to know them well, we used our research to write a script for them. How difficult was it for you to gather funds for the project? I was lucky because the production company that backed the film, Prspctvs Productions, was started by my father, Pratap Reddy, and me. The film was fulfilled by funding from Prsptctvs and, later, with support from Sunmin Park and J Ethan Park, California-based veteran Hollywood producers from Maxmedia. How did you get a foreign producer interested in the project? Sunmin Park (producer of the Nicole Kidman starrer, The Others) came on board as a producer at the Film Bazaar in Goa in 2014. She was one of the five international mentors in the Work-in-Progress Lab, where filmmakers present a line-up or rough cut of their film and receive invaluable feedback on how to shape it towards its completion. She loved the film and came on board right after seeing it. Her brother, J Ethan Park, came on board as executive producer. You've received tremendous support and attention in Mumbai. How did that happen and do you think that support bolstered Thithi's lifespan? Absolutely. I am overwhelmed by the support Thithi has received from industry leaders in Mumbai. Key supporters have included Anurag Kashyap, who was one of the first people in all of India to see Thithi. We met at the Locarno Film Festival and, since then, he has been a wonderful champion for the film. I also had the immense honour of sharing the film with Aamir Khan and Kiran Rao about 10 days before the release. I was lucky to meet Kiran when the film was screened in the international competition section of the Jio MAMI Mumbai Film Festival. She was incredibly kind and organised a special screening of Thithi, where key people who helped push the national release watched the film. Also, an unforgettable moment in this journey was when Aamir Khan wrote five overwhelming tweets about Thithi; an honour that is hard to describe in words for a first time filmmaker like myself. Who are the filmmakers you admire? I admire so many filmmakers that it is hard to list a few. I learnt the language of filmmaking mostly from watching world cinema and masters like Michael Haneke, Wong Kar-Wai and Emir Kusturica. At the moment, I have great admiration for many filmmakers from my generation such as Gabriel Mascaro, Emin Alper and Chaitanya Tamhane (director, Court). I also have immense admiration for David Simon, the creator of the television show, The Wire. Thithi features actors who don't act. How did you get such natural non-performances from the entire cast? All our filmmaking techniques were geared towards aiding the performances. Eregowda’s relationship with the people and the place was key in creating a comfortable and familiar environment. As crew, we were extremely flexible and had to be highly reactive. We often did a lot of takes and re-shot scenes some times. In my treatment of the film, I decided to eliminate blocking so that the non-professionals could be more focused on their body language and delivery rather than physical positioning; therefore, when an actor moved, the camera moved with them at the same speed. Then, there were a lot of direction techniques that were tailormade for each actor depending on Eregowda and my reading of their personalities. Patriarchy and property paranoia are predominant in your plot. Do you see rural India as being governed by these two aspects? ‘Governed’ is a strong word but I do think they play a significant role in the rural social milieu. That is something we experienced first hand while we were in our creative exploration period. All said and done, we did not attempt to make any political statements through the film; the core of the storytelling, for me, was to compare three generations of characters -- two who are materialistically driven and one who has transcended materialism. This, for me, is the spiritual core of the narrative and the primary intention. How easy or difficult was it for you to shoot in such a village, where basic amenities were not available? We had a wonderful local production team led by Eregowda, who looked after the entire crew and cast extremely well. The food on the set was made with so much love and everyone found a family within the community that made the film. We had collaborators from Holland, USA, Mumbai, Kerala and many other parts, but boundaries were quickly dissolved. We did have to heat our water for baths in big metal pots and we managed with makeshift toilets, but it felt very natural for all of us. Perhaps it was the beautiful surroundings and clean air... it wasn’t a struggle at all. I am yet to completely fix on the content of what I am doing next, but it will be a film that is very different from Thithi. I am keen on working in the magic realism genre and making a film that is bit more personal. That kind of filmmaking requires more creative control over the craft and, for that reason, I am likely to work with professionals. As an artist, I like to treat each project in stylistic isolation and make every film as original as possible, while keeping an underlying hidden philosophy and spirituality as the common thread between all my work. Do you think the language (Kannada) limits your vision in any way? No, not at all. I love the particular dialect that the film has been made in. It has a musicality that is particular and nice to listen to. Also, with maintaining authenticity as the keystone of our process, the choice of the place was key to the quality of the final product, which in turn is the reason for the widespread recognition. Would you like to work with Bollywood stars? Casting, for me, always comes second to the intention and story of the film. I would love to work with any actor who would fit my vision for the film, whether they are a star or not. I think that is the key to making organic and meaningful films. Having said that, there are many amazing Indian actors such as Irrfan Khan and Nawazuddin Siddiqui whose work I admire. I would love to work with them. Recent Indian films that, according to you, have taken our cinema forward the way Thithi has? Films like Court and Masaan are great examples of amazing debut films by Indian filmmakers that have made a mark on the international level. Also, both these films use realism as a stylistic choice and this is something that resonates with me personally.